Leeds has been brewing up quality art galleries for decades. So it is fitting, then, that the latest addition to this stable can be found in a renovated former brewery. The new gallery, which opened on Friday (November 29), has been named The Tetley, Hunslet Road, in recognition of its roots. The art deco building, which also features a museum dedicated to the brewery which shut in 2011 after 189 years, hopes to attract 45,000 people a year. Its opening exhibits are embraced by the theme A New Reality. James Clarkson is creating new work on site utilising objects he has found during the renovation. Other artists include Emma Rushton and Rehana Zaman. The Henry Moore Institute, The Headrow, is globally-acclaimed for sculpture studies and exhibitions. Jean Tinguely's Spiral runs until January 5, 2014. Tinguely wielded scrap metal and spinning motors while celebrating chance and staging self-destructing machines. Dennis Oppenheim's Thought Collision Factories displays until February 16, 2014, the same day that Stephen Cripps' Pyrotechnic Sculptor finishes its run. One employs fireworks, flares and machines as materials, while the latter is the first posthumous exhibition of the British sculptor, whose ideas ranged from mechanical gardens to mobile crematoria. Leeds City Art Gallery, The Headrow, is described by The Times as having “probably the best collection of 20th century British art outside London”. A new exhibition, Art and Life, features exhibits from Winifred and Ben Nicholson and their friends until January 12, 2014. The couple experimented fervently and often painted the same subject, one as a colourist, the other more interested in form. Leeds Gallery, Munro House, York Street, specialises in illustration, fine art and photography. It is showcasing award-winning artist and flame work teacher Julia Bickerstaff's Neon: Burning Light exhibition until Christmas Eve. Two of the more outstanding venues in recent years have been Leeds Metropolitan Gallery & Studio Theatre, Leeds Metropolitan University, Civic Quarter, and Hester Gallery, Meanwood Close. 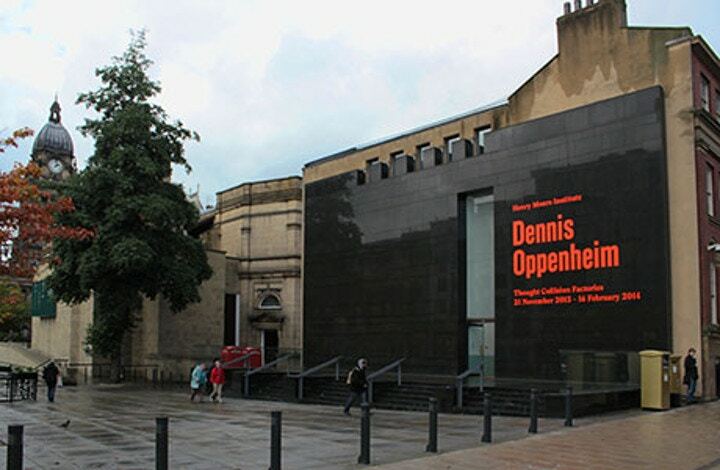 The former opened in 1991 and has promoted, commissioned, produced and curated contemporary visual art and performance, while the latter started over 25 years ago, gaining a robust reputation as a serious venue through featured artists including David Hockney and Barbara Sykes.